Bobby Beckerson was the American All-Star hockey player--he was the spitting image of perfection to his family. Goofy, sweet and undeniably gorgeous, he had everything but the one girl he wanted: River Ahlers. River Ahlers is successful in everything but love. She's been in love with Adam Beckerson since they were kids. Worst of all she's stuck right in the middle of the brother's dueling over everything and anything, and she doesn't even know she's the ultimate prize. 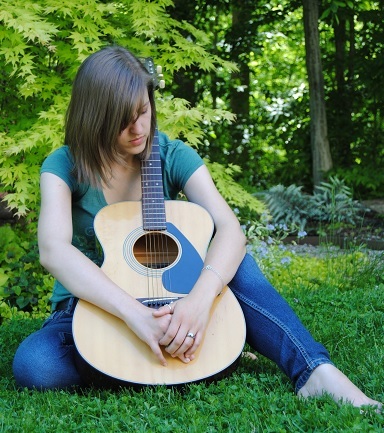 Adam Beckerson was a boy with a guitar, a smile that sunk girl's hearts and a stone wall around his own. He was anything but perfect, and no matter how hard he tried he was nothing compared to Bobby. Sweet, damaged, with boyish good-looks, nobody thought Adam loved anyone but himself. What I say: Flawed Perfection tells the story of River and her complicated friendship with brothers Adam and Bobby. Everybody loves the wrong person (sort of) or is in denial about a few rather obvious truths. After reading the blurb I was expecting a pain-fest (I had tissues ready) and although the story is defo angst ridden and something of a tear jerker, it wasn't until the ending where I felt the real pain began. Cassandra Giovanni started the series with a bang and at certain points it seemed nobody could win. When there are two guys (brothers no less) and one girl involved somebody, or most likely everybody is going to get hurt. But in an evil kinda way I enjoyed watching them struggle to figure everything out (not sure what that says about me). Their parents are friends, they grew up together and the three of them are best friends. They all rely heavily on the other two. The story grows complicated because older brother Bobby is the family golden boy, whilst Adam is the black sheep. Bobby is extremely competitive with Adam and has been openly in love with River for years (something she tries to ignore). At times I thought Bobby was less in love with River and more determined to win her, by taking her from Adam. But then he'd say or do something and I'd think, no he really is obsessively in love with her. River has always loved Adam and is convinced he doesn't feel the same way. I couldn't believe both sets of parents at times (who does that) and I can't see things with Adam/Bobby's parents getting better any times soon. I felt sorry for how Adam was treated and wanted his parents to really see his accomplishments. I think on paper most gals would like the idea of two hot guys fighting over her, but the reality of the situation in Flawed Perfection is angst-filled and dramatic. I felt sorry for River because whenever she tried to fix the situation she ended up being the one who suffered. My final note is on THAT ending! I was almost expecting something bad to happen but not what actually did. I enjoyed the drama and twists but I'm hoping for a HEA sometime soon. 4 dramatic Stars in my Sky! I nodded my head and watched as Adam’s hand lingered on the neck of the Ibanez™ before he picked it back up and slipped the strap over his shoulder. I sat on the edge of the bed as he began to play without an amplifier. The noise was tinny without the electric part hooked up but that didn’t matter. Adam’s fingers moved effortlessly from fret to fret as he strummed the guitar. His head nodded ever so slightly to the beat and his bare foot tapped the floor as he closed his eyes and a smile formed on his lips. I stood and placed my hands around his neck, yet he continued to play, nod his head and tap his foot with eyes closed. The only change was on his lips as they crept into the seductive grin. I leaned into him, letting my hands comb through the hair on the back of his head as my breath washed over his lips. Still nothing. The guitar continued to hum with his talent. I let my lips hover over his, then let them wander over the soft skin of his neck and up the stubble of his chin. The beat remained smooth, undisturbed as the strings squealed and he deepened the riff. I paused as my lips reached his again, lingering at the corner of his mouth where the cold metal of his lip ring teased me just as much as his fingers on the guitar. I let my mouth run over the metal until it caught in my teeth and I sucked it in. Finally, his body reacted tensing as he groaned—but his playing didn’t cease, didn’t change. He still resisted, hand strumming a tease over the strings next to the skin of my belly. His mouth responded to mine as I let the ring and his lip slowly slip away from me. That was it— the guitar spun to his back and he yanked my hips to his own. “I need you to play me like that guitar,” I gasped as his hand tilted my head and his tongue ran over my trembling neck. His other hand drifted down my torso. “Good, because I wasn’t done with my song,” he growled into my ear. Cassandra doesn't remember a time when she wasn't writing. In fact, the first time she was published was when she was seven years old and won a contest to be published in an American Girl Doll novel. Since then Cassandra has written more novels than she can count and put just as many in the circular bin. Her personal goal with her writing is to show the reader the character's stories through their dialogue and actions instead of just telling the reader what is happening. In 2012 she became a published Young Adult author, releasing In Between Seasons (The Fall, #1) and the Amazon bestselling thriller, Walking in the Shadows. In 2013 she branched out by using her artistic illustrating talents to publish her first Children's novel, The Adventures of Skippy Von Flippy: Tales of Friendship (Skippy Tales, #1). Cassandra released her first New Adult novel, Love Exactly, which became an Amazon Bestseller overnight in June of 2013. She's currently working on her new New Adult Contemporary Romance, Beautifully Flawed. 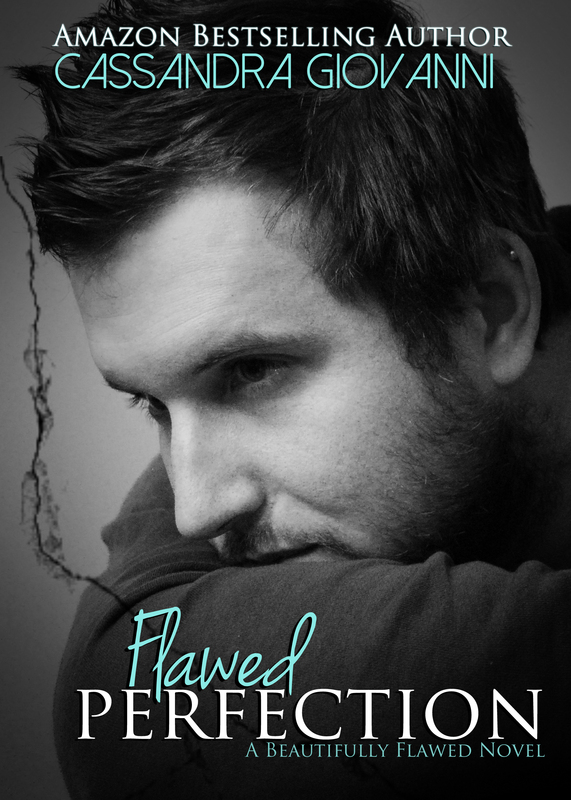 The first novel in the series, Flawed Perfection is scheduled to be published on March 7, 2014. Besides being a writer, Cassandra is a professional photographer known for her automotive, nature and architectural shots. She is the owner of Gio Design Studios Photography and Gio Design Studios Publication Marketing . She is currently studying to receive a degree in Marketing. Cassandra is happily married to the man of her dreams and they live in the rolling hills of New England with the other loves of her life their dogs, Bubski and Kanga.